As Michael Kenny walks through the hallways of Temple Emanu-El, little kids in the early childhood program high-five him, and teachers and congregants greet him as if he were a favorite big brother, someone who looks out for them and makes things work just right. That is just what the genial building superintendent has been doing at the Reform temple in Westfield for the past two decades. Generally behind the scenes, Kenny makes sure the building functions efficiently and that all functions go smoothly, at least as far as the facilities are involved. This past Saturday, May 14, he found himself in a very unaccustomed place — center stage. The temple’s annual fund-raising gala that night was all about him, a “toast and roast” organized by the congregation to express appreciation for all he does. The temple has a tradition of celebrating staff milestones, but Kenny, despite his discomfort with all the attention, said he was very touched by the expected large turnout — which turned out to be over 450 people. “It really means a lot to me that so many people want to come,” he told NJ Jewish News in an interview a week before the event. As he chatted in his office on the ground floor, kids in the playground outside came by to call a greeting through the window. There was a bowl of candy on his desk — not for the kids, he said; “I’d never give them hard candy” — but for the stream of visitors coming by with requests for his help. Through his own charity work, Kenny has helped build bridges between the congregation and the wider community. Just one example is the Christmas party the Westfield Police holds at the temple each December, thanks to his liaison. In addition to his work with the police, and his own church, Holy Trinity, Kenny is involved in raising funds for Tourette’s Syndrome of New Jersey. 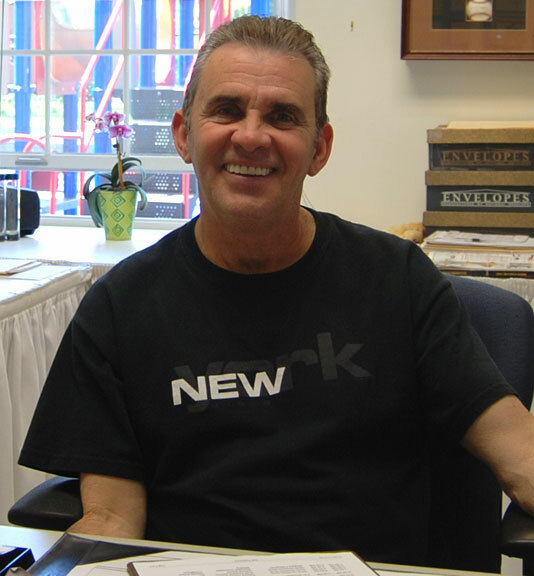 He also serves on the executive board of the Healing Community at Fairview Lakes in Newton, a camp for children and their families living with HIV/AIDS or those who have recently lost someone to the disease. 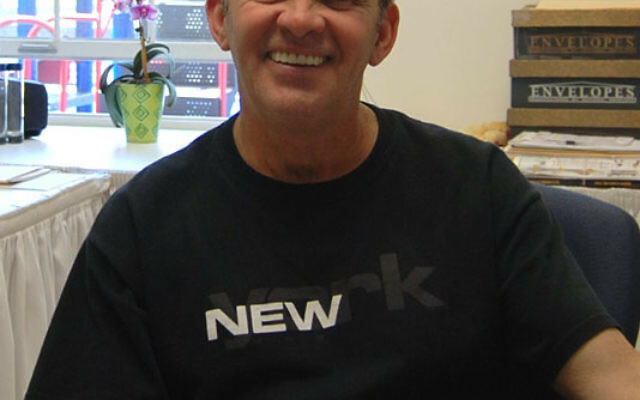 For four years he also served as president of the AIDS Benefit Committee of New Jersey. Though brought up Roman Catholic, Jewishness is part of his fiber. “My grandmother was a Shapiro,” he explained, and “my mother was half Jewish. She grew up going to synagogue and to church, and wearing a cross and a star.” His father was Irish, but just as accepting as she was of all kinds of people. Kenny and his wife of 25 years, Nancy, live in the house next door to the temple, and he is often there all evening as well as all day. He paid grateful tribute to her. “The only way I could survive here and do what I do is because of my wife, and the kind of person she is,” he said. They have four children and two grandchildren. Kenny didn’t get a chance to go to college, because his father died when he was 17 and he was the middle son of eight children. Not surprisingly, he takes enormous pride in his children’s academic and professional successes. “One of the biggest things I’ve learned working here is the value of education,” he said. Kenny clearly enjoys working with current religious leader Rabbi Douglas Sagal, but it was his predecessor, Rabbi Charles Kroloff, who was involved in hiring Kenny, and he still regards Kroloff as a spiritual mentor.